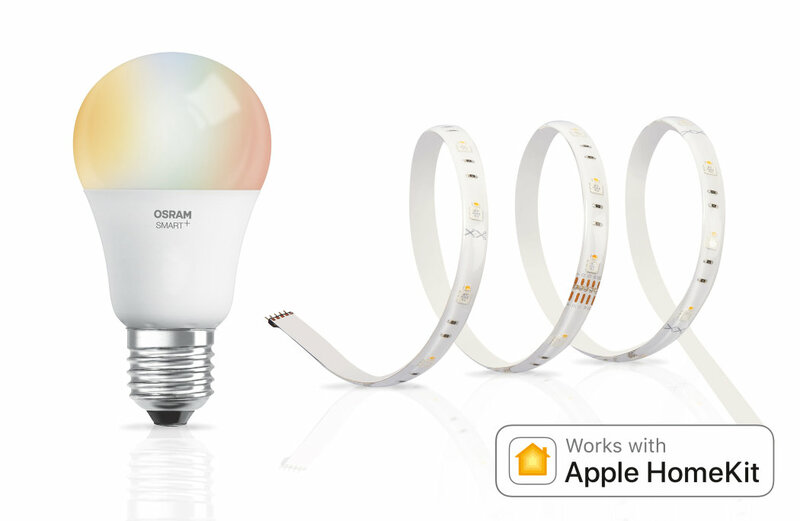 Smart home lighting solutions from Ledvance have a new name as of September: Osram Smart+. The brand-new portfolio of network-compatible products is controlled either via ZigBee Lightlink or with Apple's HomeKit Accessory Protocol. With this name, Ledvance emphasizes the compatibility of these products with the common smart home platforms. Official partner systems in Europe are currently Osram Lightify, Qivicon (used in e.g. Telekom Magenta Smart, Vattenfall Smart, EinfachSmart etc.) and Samsung SmartThings (Great Britain) in the ZigBee world, as well as HomeKit for the Apple universe among others. Many of the Smart+ product functions can even be used without integration into a smart home system. For example, up to ten of the new HomeKit-compatible products can be directly controlled on an iPhone, iPad, iPod Touch and Apple Watch completely without a gateway and internet. This also functions with Siri voice command. In the ZigBee world, certain functions can be directly controlled with Switch or Switch Mini devices also without a gateway or internet connection and with up to ten products. This is made possible thanks to Touchlink, part of ZigBee Lightlink. By expanding the range of official system partners, Ledvance reflects the diverse compatibility of its networkable products. In the future Ledvance plans to conclude further partnerships, and thereby expand the compatibility of its Smart+ products. Because of the long lifespans of the Smart+ products, this is also a distinct advantage for users. At the same time, Ledvance is also expanding its smart product spectrum primarily with luminaires. 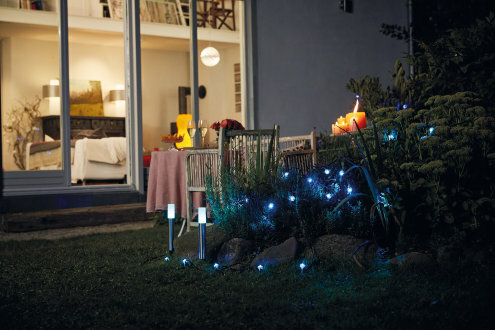 With Gardenpole Mini Multicolor for example, the third luminaire for outdoor use comes to market within just one year – shortly before this, the LED light strip Outdoor Flex Multicolor was launched, along with the path luminaire Gardenpole Multicolor. The round Ceiling 33 Tunable White and the square Panel Multicolor (from October) will appear in retail outlets as indoor wall and ceiling luminaires. The Ceiling is also infinitely dimmable in addition to its controllable warm to cool white (2,700 – 6,500 Kelvin) light colors, and Panel features more than 16 million colours (RGB) in addition to dimming and controllable color temperature. Spot GU5.3 Tunable White has been specifically designed for use in low voltage wire systems. The new lamp is infinitely controllable from warm white (2.700 Kelvin) to cool white (6,500 Kelvin) and in the selected color temperature can be dimmed down to 10 percent brightness. Switch Mini is the more compact model of the successful Switch with a design in four different colors, reminiscent of a building block. Integrated into a Lightify system, its six different switching options are freely programmable. Connected directly via Touchlink to lamps or luminaires, it enables users to switch on and off, dim and regulate the light color.